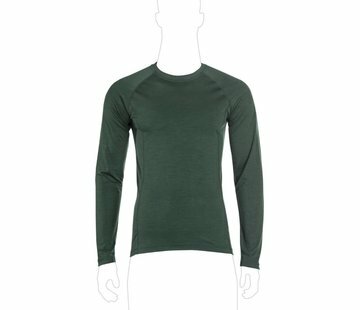 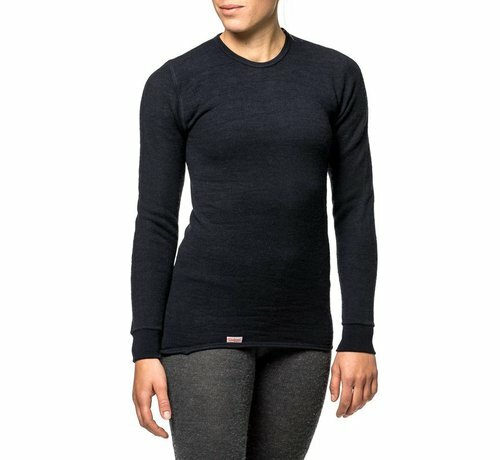 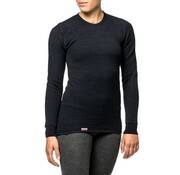 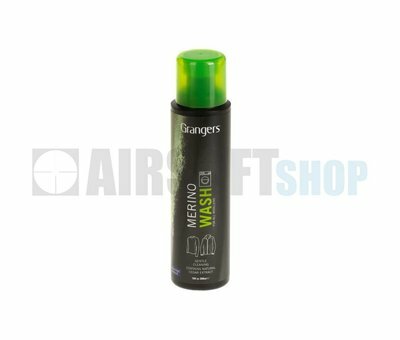 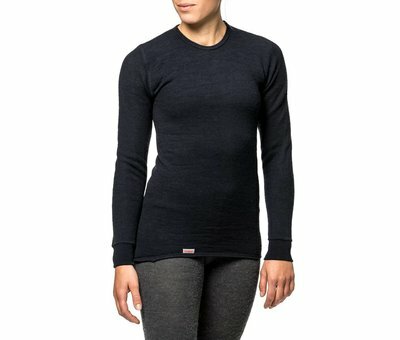 Woolpower Crewneck 200 Baselayer Shirt (Black). 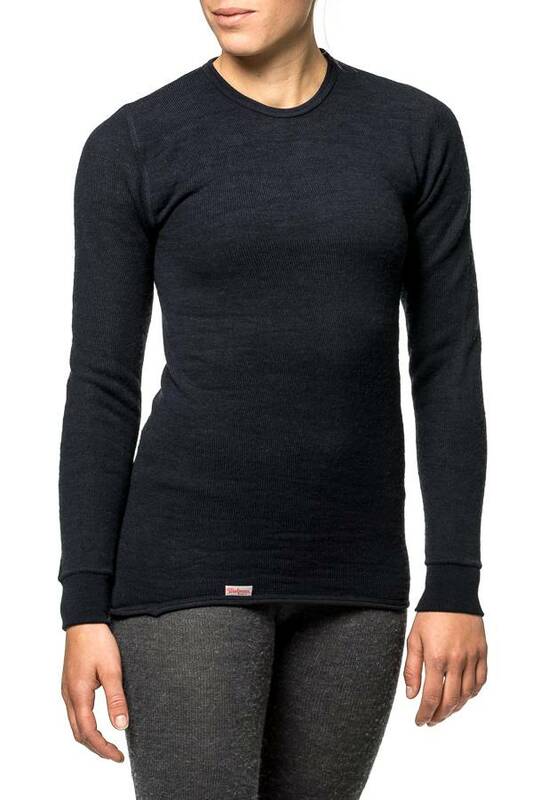 Long sleeve crewneck made of circular knit fabric, and has no lengthwise seams. 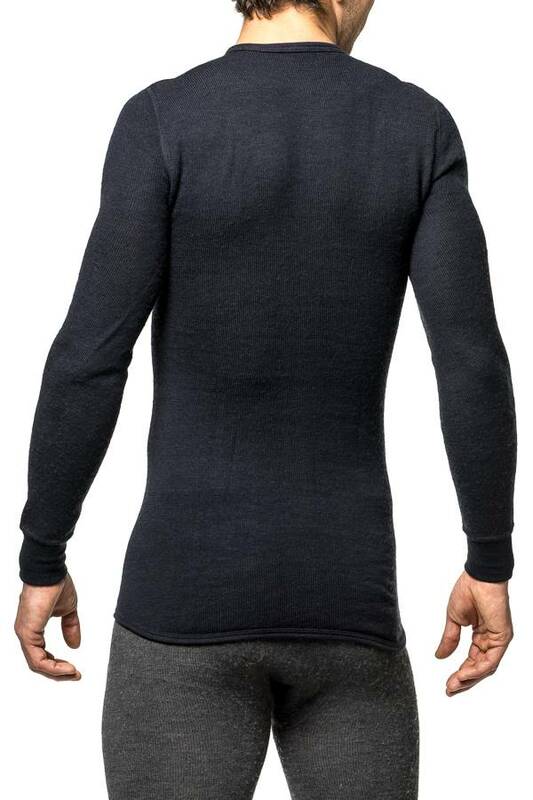 The back is longer to prevent gaps. 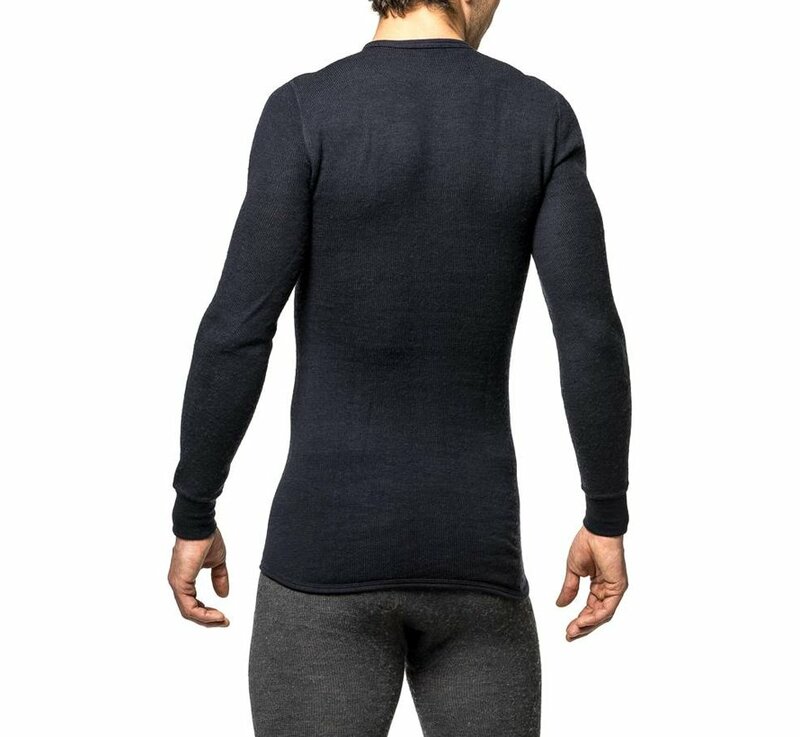 Cuffs are knitted in.